The productivity of the application has an utmost importance in developer’s life and it’s been difficult to write quality and standard code all alone without any help so to ease in this process, tools have been the importance of time to quickly improve our coding standards and it provides us relief by making work easy. Visual Studio is a king of IDEs and the essential tool for .NET devs everywhere. Not much else to say except that it has a great starting toolset for any developer and amazing plugin support. The Community edition gives the masses the power of the Professional SKU, for free. Simply amazing and getting better with every release. Visual Studio Code is the Microsoft’s cross-platform IDE has taken the lightweight-yet-extensible text editor world by storm. I use this on my Mac for developing ASP.NET Core apps, writing Markdown files, and just editing plain text files. Has almost totally replaced my use of Notepad++. The plugin system and rapid development turnaround are going to threaten the paid alternatives in a big way (Sublime, I’m looking at you). Node Package Manager is the best tool for installing your command-line dev tools and front-end frameworks. I use it in conjunction with Visual Studio and Visual Studio Code to do development across several stacks, including WebForms apps that I support. NimbleText is the new favorite way to write repetitive code or handle small or large data transformation tasks. I’ve used it from everything from writing HTML to generating SQL insert scripts. Its time-saving power cannot be overstated. And, it’s FREE! dotPeek is the best way to decompile .NET code, free from JetBrains. It even has the ability to break a .NET DLL/EXE down into a fully-structured Visual Studio project! PowerShell is the best scripting language on the Windows platform. Great scripting plus the power of the .NET Framework at your disposal when you need those extra awesome features. Also, recently made cross-platform! Bundle all of your JS, CSS, TS, etc files together for delivery to your local friendly web app. I use this on new and old projects alike. Powerful and simple to configure. if you’re a C# developer, you need OzCode. It turns debugging from a necessary chore to a borderline delight. Break down code expressions, highlight the most needed data in an object, compare data between two objects, find all objects of a given type in memory, and exceptional exception handling make OzCode a star – and that’s just the tip of the iceberg. GhostDoc is the best way to quickly write your XML code comments. Makes it so easy to annotate your code with comments about the code you’re writing. Resharper is a Visual Studio extension which can analyze code for quality for all the major flavors ASP.NET, XAML, C#, VB, Typescript, ASP.NET MVC, and XML. It can remove errors and smell the code quality by giving hotfixes at runtime to fix from available options. Refactor on the fly. An extended search for any type of files to methods. Extended intellisense with documentation and hotfixes. Code Standard and Style with formatting options and a lot of more and very exciting features. Elmah (Error Logging Modules and Handlers) as the name suggests it is an error logging module for unhandled exceptions, it has one-time web configuration in web.config file and then you start receiving errors as it happens in real time to analyze them in a better fashion. .Net Reflector can give you control over third-party assemblies by decompiling the assemblies and debug to find the code issues quickly. You can get the decompile assembly objects in tree form in object explorer to navigate through into it. Search quickly by in navigating items by typing to find certain objects or items you required for your work. LINQPad is a .NET Programmers Playground as per company statement and it’s true as it is not for only Linq queries. You can also test any C#/F# or VB code snippets instantly. You can query the linq or SQL. It has a built-in debugger for best user experience. Postman is the fantastic app for chrome to send and receive HTTP Requests using postman request builder. You can write your own test cases to validate data. You can test the request either it meets the certain criteria it can show you the graphically good points if certain criteria of the test failed or meet. SQL Server Profiler is a very useful tool to analyze the issues either the slow SQL queries or stored procedures or enable the traces to find out the certain issues by analyzing the trace results in a file. The trace saved in the form as a result of events fired. Fiddler is a free tool to view and debug the HTTP Requests in your machine. The best thing about fiddler is that it can support all browsers to debug and trace the traffic. It also supports all the systems either on Mac, Windows or Linux also it supports any platform from.NET, Java, PHP, Python and Ruby on rails. It has many companion tools which can work with Fiddler to extend the functionality by geolocating the requests. Fiddler Core which can be integrated into the .NET Application to provide vast functionality. Web Essentials is a Visual Studio extension and it extends the VS functionality by adding new features which are required for many years. The features like extended VS shortcuts for tasks made life easier with extended IntelliSense and HTML/Css/Js minification for best productivity. Productivity Power Tools is a VS extension that offers extended features for best productivity and it is provided with best built-in tools to make life easier. Filtering is a nice feature now you can filter those files which contain either errors or warnings by clicking on the drop-down in the solution explorer toolbar. Structure Visualizer lets you check the scope of the class or method in which you are working… just hover over the working line to know about the parent. Line compression lets compress the empty space line so that it can be vertically shown adorable in the editor. Quick Tasks option let you do the task like on or offline numbers, increase font size, on & off word wrap. 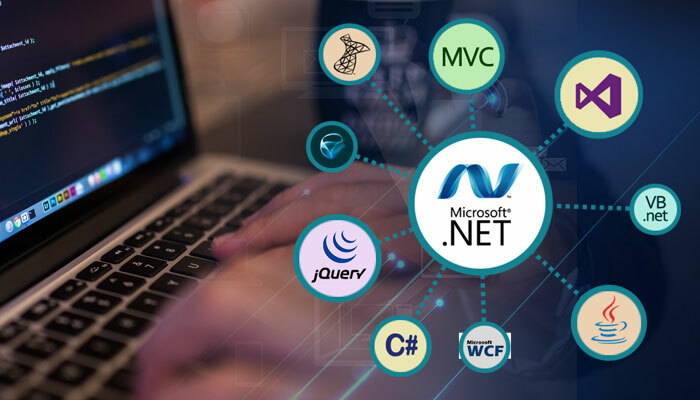 Newton Soft JSON.net is a popular json framework for.NET. It is free and open source and runs anywhere to all .NET supported family devices. CodeRush is an excellent Productivity Tool from DevExpress. It helps you to code at a fast pace, refactor fastly, run test cases and fix the bugs and errors faster than ever before. Nuget is the package manager. The client allows to produce and consume packages. The NuGet gallery is the collection where all the authors share their packages in a repository. When you add certain libraries using NuGet package manager, it adds the required files to the solution and adds references, config settings and changes the other files as needed and when removed, it removes all the references. Code Coverage gives you suggestions about your line of code by adding markers and other signs to show for an exception as well and it also let you know either test fail or pass with color markers of green and red. Performance Metrics lets you know about every line of a test under test with execution time so that you have a better idea of what going on. NDepend is a VS Extension and productivity tool. It has a powerful engine for static code analysis. It has wide range of features to analyze the code base. Trend Monitoring lets you know the deep insight all about your code with a trend like the line of code, line of code violating the rules and even you can write custom trends. Provide best insight and analytics into your application. It’s fast and lightweight and integrates with all versions of Visual Studio. The best point about these tools is that they all had made the life of a developer easy by their excellent features.